After recently embracing my 'dark side' when I painted a feature wall in Farrow & Ball's Stiffkey Blue, I can see the benefits of incorporating darker, richer shades into a design scheme. 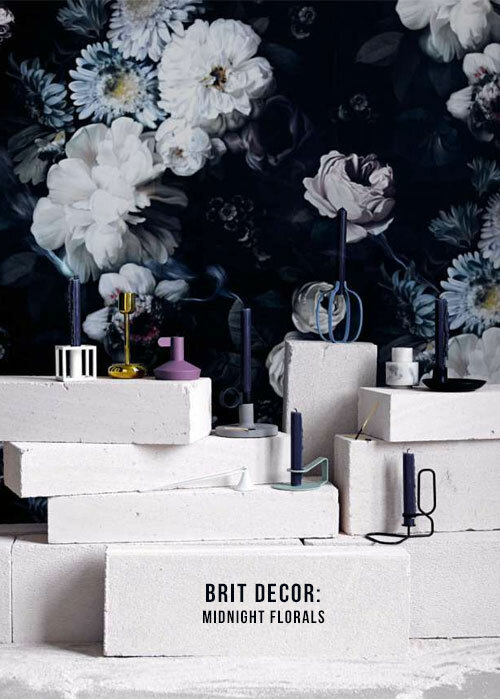 Deep and dark tones can make an incredible statement in the home by creating alluring backdrops for furnishings, textiles and accessories, as well as providing richness, depth and contrast to a room. 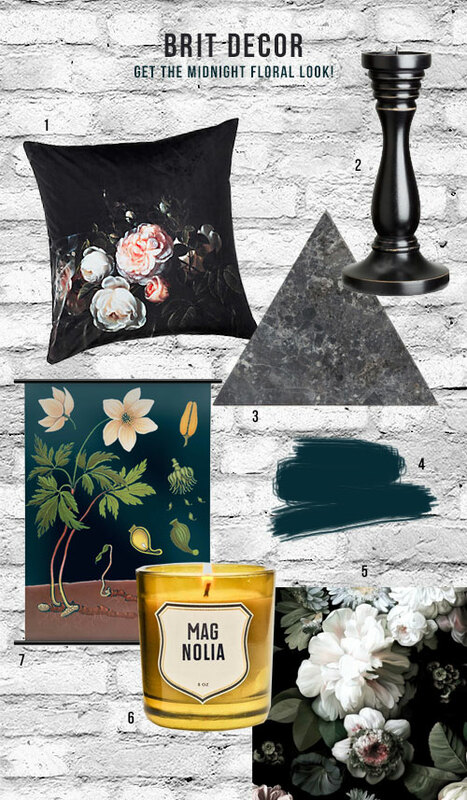 A new and emerging trend in interiors is a genius pairing of pale and elegant florals set against defiantly dark colours, including the ultimate; black. The resulting effect puts me in mind of a Renaissance painting with an enticingly dark background and still-life flowers blossoming at the forefront of the classic composition. 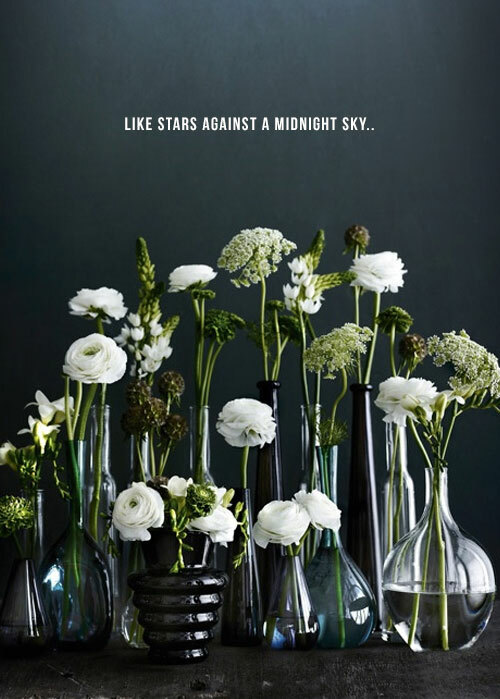 One of the best examples of this 'Midnight Floral' style is in the exquisite range of wallpapers from Ellie Cashman (no. 5 below). It's no surprise that Ellie studied a Masters in Fine Art, and I especially love how she's translated those skills from canvas to print press and produced these show-stopping wallpapers. Similarly, Marks and Spencer have nailed this style with their sensational 'Feast' cushion (no.1 below). To really make your midnight floral scheme the real deal, be clever about it and sneak in some beautiful room scents like this Magnolia candle from Fate (no. 6 below) - finishing touches are so important! 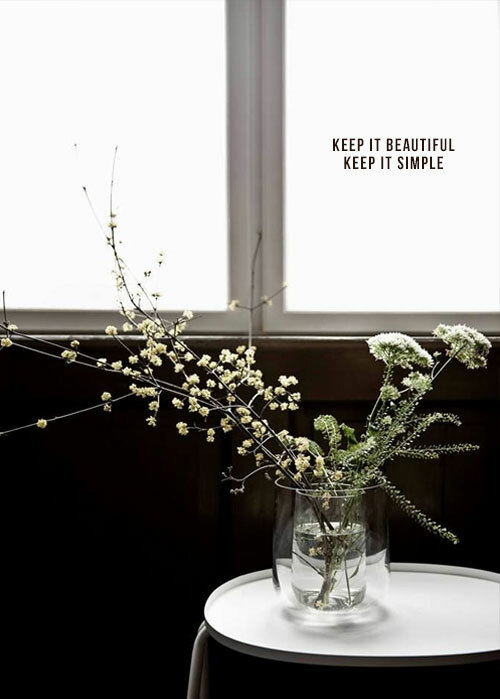 For a a more free-form organic midnight floral interiors scheme, we can always look to nature for inspiration - offsetting dusty pink and ethereal white petals displayed in simple jars and vases, against deeply dark backdrops. 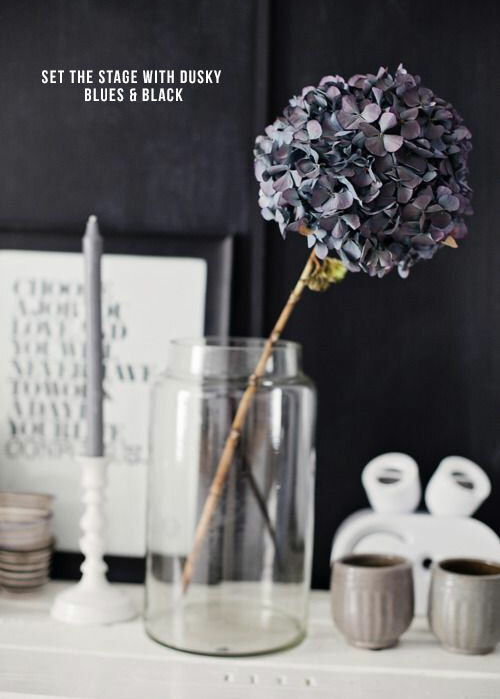 Richer and darker shades are perfect for creating a dramatic Winter scheme.